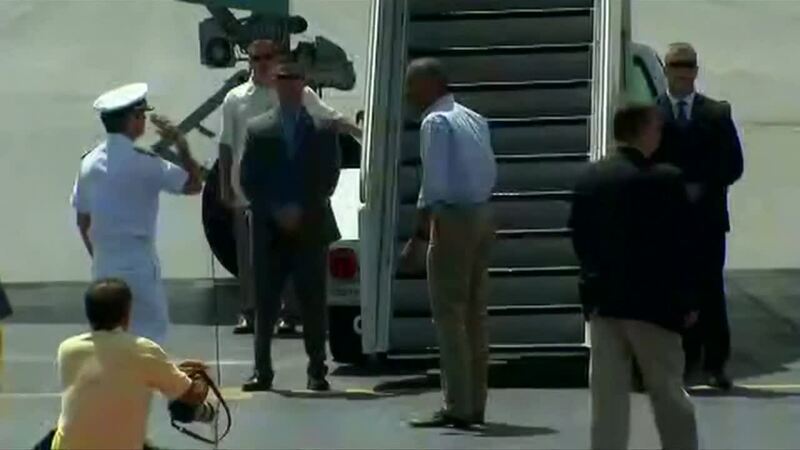 BEIJING, Sept 5 (Reuters) - China on Monday leveled responsibility at the United States and journalists for a fracas at a Chinese airport, in which officials of both countries exchanged heated remarks as President Barack Obama disembarked from his aircraft. The comments by a foreign ministry spokeswoman were in response to questions whether China, which is hosting a G20 summit meeting in its eastern city of Hangzhou, intentionally failed to provide Obama's plane with a staircase, an event that has fueled speculation it was a diplomatic snub. "I think if only the American group had respected the working arrangements first made with China then this wouldn't have occurred," Hua Chunying told reporters in Beijing on Monday. "You saw that all the other country leaders all used the stairs that China provided. So why was it only the United States that didn't? These were the stairs the United States requested." Hua questioned why China would intentionally create trouble for the United States, adding that the incident was not a high-level issue, echoing comments made by Obama on Sunday. A Chinese security official had also blocked National Security Adviser Susan Rice on the tarmac and yelled at another U.S. official trying to help journalists get closer to Obama.